This is one of those recipes you just kind of stumble upon … I had a couple bags of starter and a bag of fresh cranberries that needed to be used up. I wasn’t in the mood for a cranberry bread or muffin. I wanted something, well, different. This drop scone recipe is easy and the result is a hearty scone that’s both filling and delicious. I normally cut butter into small chunks and work into the flour by hand but this time I grated it because I was still on the gotta do it different mode. Everything came together nicely and the last thing to do was to gently fold in the fresh cranberries. 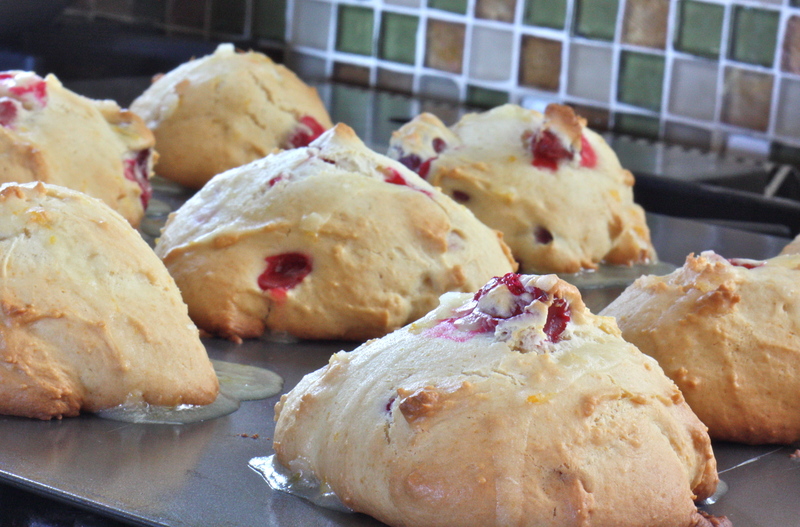 Drop generous spoonfuls of the scone mixture on a prepared baking sheet and slide into a 400° F preheated oven. Bake for 25-30 minutes, until golden and brown around the tops and edges. Allow to cool. I drizzled a few scones with a Lemon Drizzle. Delicious! 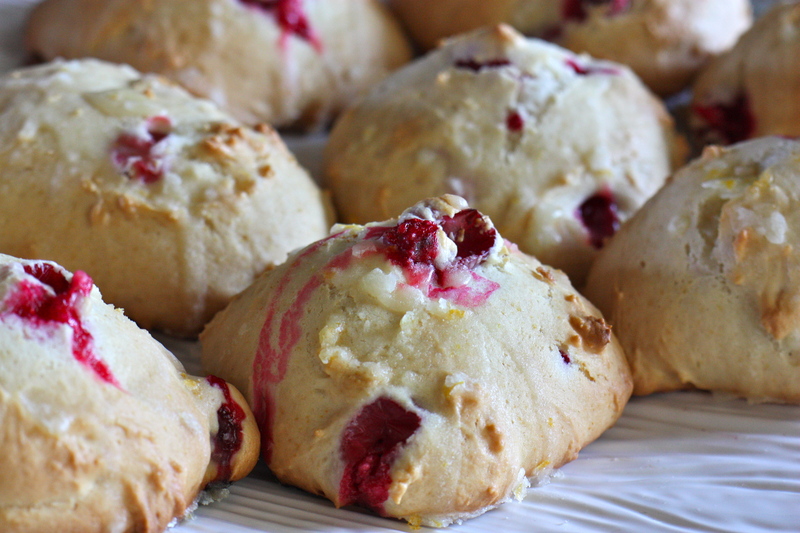 Light and fluffy, this Amish Friendship Bread drop scone recipe offers a burst of tart cranberry goodness with just the right amount of sweetness. In a mixing bowl combine flour, sugar, baking powder, baking soda and salt. 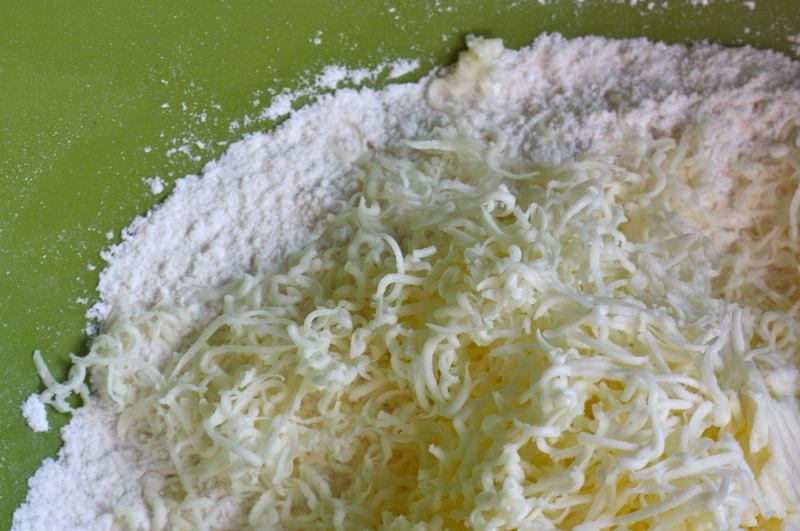 With a pastry blender, cut in butter until mixture resembles coarse crumbs. If you don’t have a pastry blender, grate the frozen butter with a box grater and incorporate with your fingers. Make a well in center of dry mixture; set aside. In another bowl combine starter and egg. Add the wet mixture all at once to dry mixture. Using a fork, stir just until moistened. Do not overmix. Turn out onto lightly floured surface. If the dough is too sticky add flour until it becomes easier to handle. Add cranberries and fold in carefully, using two spoons. Drop heaping spoonfuls onto an ungreased baking sheet. Drizzle with lemon glaze while warm. You can also use dried cranberries in place of fresh or frozen. 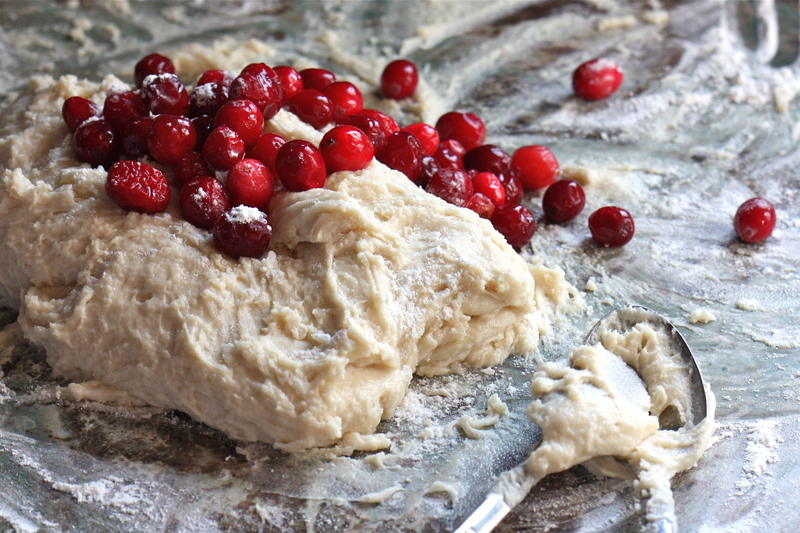 If you don’t like working the dough with your bare hands, use two spoons to help incorporate additional flour and whole cranberries. If your kitchen is hot or humid, chill the flour mixture and mixing bowls before use. Be careful not to overwork the dough. I remember my Mom doing the starter bread & sharing with everyone she knew when I was much younger! so glad that there are recipes for other things we can make with it!! So glad you enjoy the site, Cindy. Please keep me posted with the variations you end up trying! I made these today and they turned out delicious! a little more work that I normally have to do, but they were worth it. I read the book via my library on-line download. Loved it & couldn’t wait to get baking. Then I bought real books for my daughter and mother. Such a wonderful book to share! I really enjoy all of your recipes, thank you very much. made these with the dried cranberries and drizzled an orange juice/powder sugar glaze over the top. most definitely a keeper. shared with a coworker and now she would like a starter bag. so glad i read the ‘friendship bread’ book that got me inspired to start doing this again. love all the recipe choices now available. Sounds delicious, Cindy! And I’m so glad the novel got you back in the friendship bread fold! omg THANK YOU SO SO much for all the great recipies on amish friendship bread! Aw, shucks! You are welcome, Melissa! 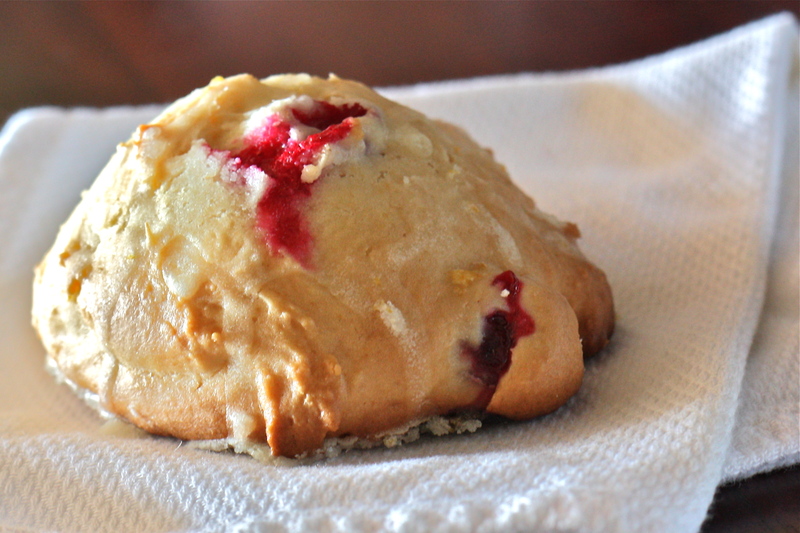 Yumm — a lover of scones = a must try!! 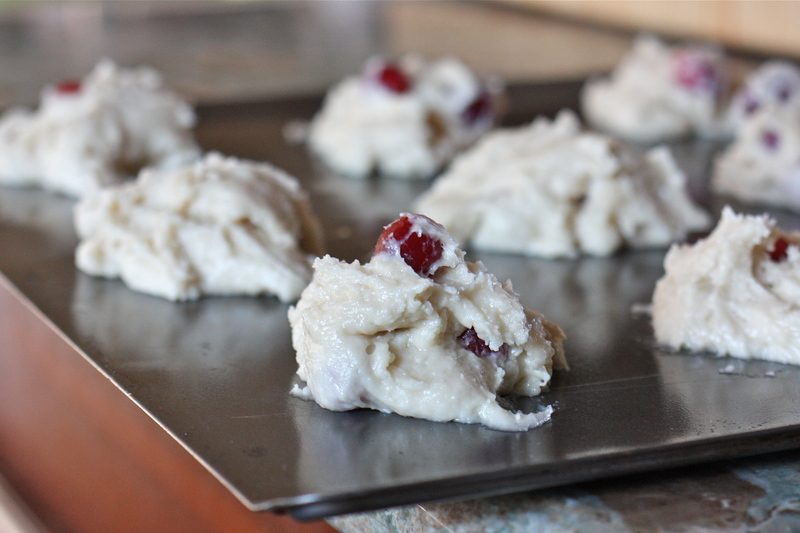 I haven’t made Amish Bread Starter for a while… Glad there are so many variations available not, so I’m up for trying again and making these Cranberry Drop Scones! I have a potato starter and have been experimenting subing it in with several recipes from this site and have had great result so far! This might be my new favorite though! I completely forgot the sugar but didn’t miss it at all in the end result. Next time I think I will try some lemon zest in the batter and maybe a touch of cinnamon or nutmeg! These were nice and tender and fluffy so much better than store bought! Thanks! Kim, that’s so great to hear! Thanks so much for sharing, and happy new year!